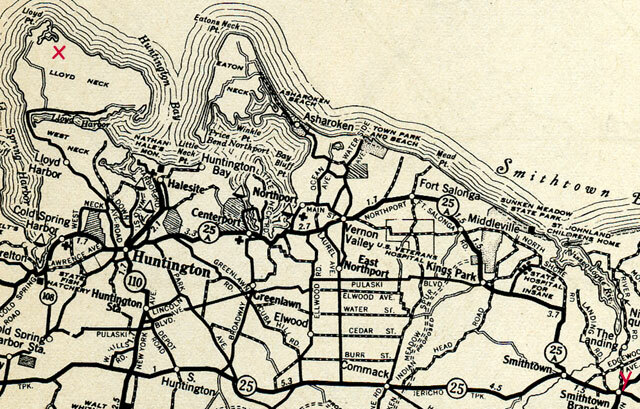 After their marriage in 1908 Percy and Meta lived in Hauppauge. Arnold was born in Hauppauge in 1908 and Helen was born in Hauppauge in 1910. I do not know where their house was located, other than that it was near that of Law and Elizabeth. 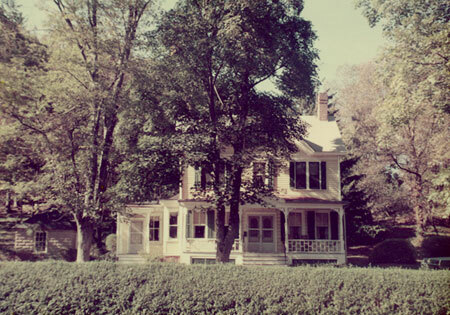 The 1910 census listed them on Hauppauge Road. The only pictures that I know of between 1908 and 1923 just give glimpses of houses and yards. However, the 1910 census, in listing their immediate neighbors, indicates that they were living very close to the Methodists church in Hauppauge. Allen was listed as born in Islip in 1913. Bud (Edgar) was born in Hauppauge in 1915. 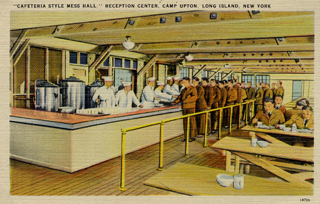 In 1917 Percy was listed on his draft registration as living in Hauppauge and working at Camp Upton. 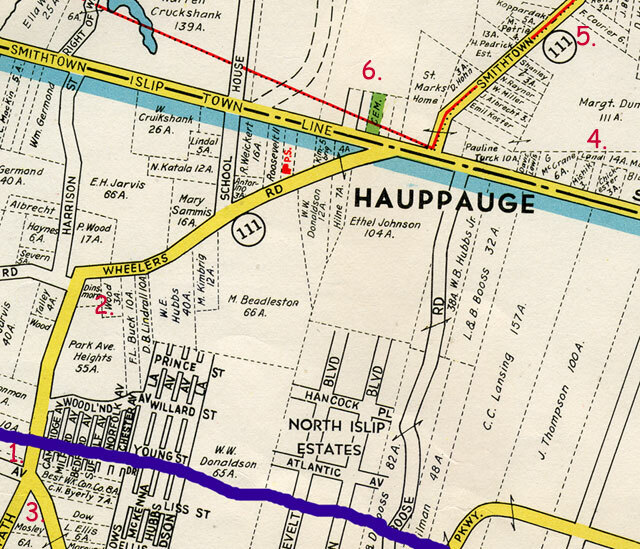 In 1919 Percy bought a piece of property (with buildings) on Town Line Road on the boarder between Hauppauge and Islip very close to the property owned by his father, Law Land. In the 1920 census the family of Percy Land were listed on Wheeler Road in Islip. His neighbors indicate that he was very near intersection of Joshua's Path and Wheeler Road. Why was he not living at the property he had just bought on Town Line Road? He may have been in transition as he bought the property on North County Road in Smithtown Branch in April 1920. 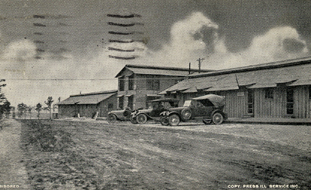 Percy bought the property on North County Road in April, 1920. They were listed at North Country Road in the 1930 Census. Percy worked for six years in Lloyd's Neck, Huntington. 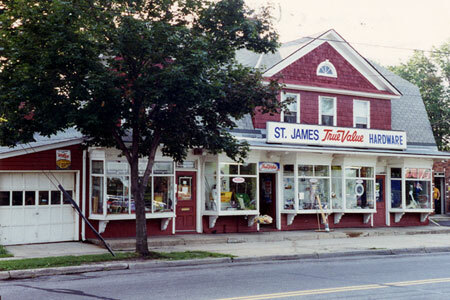 Bud Land said that Percy used the money from the Livingston Job to buy the property in St James where he had a lumber yard and hardware store. Percy A. Land worked at the carpenter's trade and finally became an independent builder and contractor. He started in that business in 1911 and worked up a large and lucrative connection and is widely and favorably known. He has now given up the building business, and has bought a tract of land opposite St. James' (Long Island) depot, and is sub-dividing it into business and building lots, and will also start a lumber, hardware, and material business. According to the deed Percy bought the property in St James in December 1924. This is where Bud Land always said Law and Elizabeth lived. I believe, however, that he was mistaken. I cannot connect this piece of property to any Lands. Addie Land married Ed Moseley. I do not know if this was where they lived. They were listed on Islip Road in Smithtown in the 1915 State Census They were listed on Maple Avenue, Smithtown in the 1930 Federal Census. In the 1920 census Percy and Meta Land were living quite close to this intersection. Helen Land said that Percy worked for six years on the Livingston Estate in Lloyd's Neck overlooking the Long Island Sound. He had a bus that he used to take his crew from Smithtown to Lloyd's Neck. Bud Land said that Percy build a house with 38 rooms, dairy barns, stables, dog kennels an 8-car garage and numerous other buildings. The "X" Indicates Looyd's Neck and the "Y' indicates 101 North Country Road. 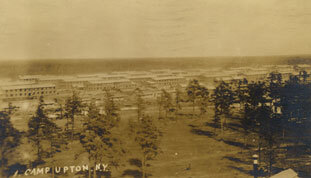 According to his draft registration in 1917 Percy Arnold Land was a carpenter for Stevenson American at Camp Upton in Duffolk, Long Island. 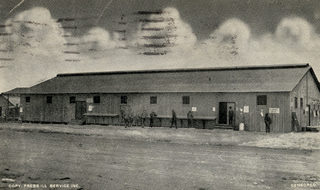 A post card from 1915 shows that this building once held the St James Post Office. See St James Photos.